Feeling the burn of a busy event calendar? Stoke the fire with a sizzling Year Invitation in bold and brazen red. 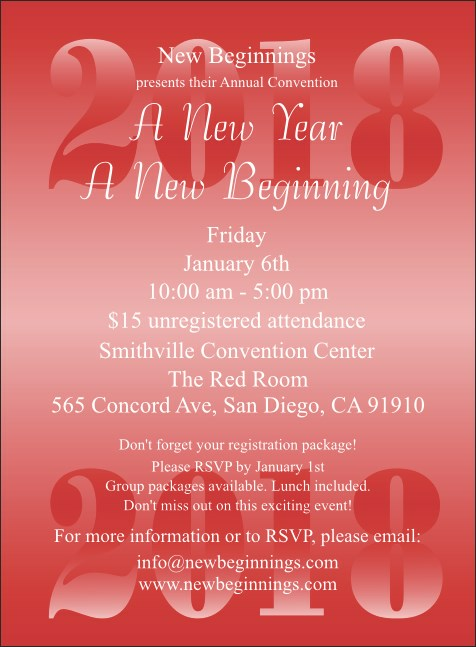 With lots of room for all your details, this invitation template helps you hype any annual event well in advance. The matching Red Year Event Kit lets you coordinate your look. Warm up with hot designs from TicketPrinting.com.